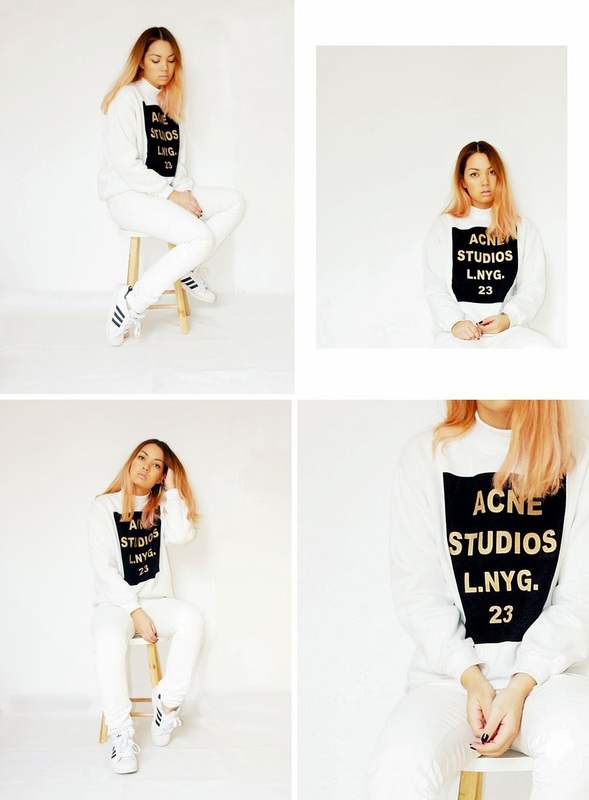 So finaly I got my oversized Acne sweater! I had a crush on it for a while (saw it everywhere but still) and its perfect, and also very comfortable. I'm still big fan of white, even in this winter/rainy season. I think you can always wear white outfits, its easy to combinate,clean and simple, just like black and grey. I am a colorist at Sally Hershberger Los Angeles for over 4 years now, Bianca Hillier.You may yelp me. I colour for newMARK models. Some of my latest work was on Justin Barco and Laurenz Eekhout for GQ Magazine and The Stndrd Magazine as well as with photographer Ted Emmons, Seven Artist Management and Photogenics. I've been correcting photographer and model Jenah Yamamoto, I colored Amanda Pizziconi, Bekka Gunther, Mahina Alexander, Rocky Barnes and Rebekah Keida for New York Fashion Week 2013 for Mara Hoffmans Collection. Singer and model Cailin Russo for Justin Beibers "All that matters" music video. I corrected dancer/model Danielle Alcaraz for the Kanye West 2013 tour. I worked with Miss Teen Kentucky, Miss Teen United States Belle Owens. For Jessica Horwell's Hardwareldn 2014 lookbook Leia Contois and Joshua Scroggin. For the Mamadoux clothing line, the owner and model Palma Wright, Jacques Smith, the Fiftyoverfive brand owner and model Rachel Harris. I transformed the Pink lady of Hollywood for the cover and a 19 page spread of Avant Garde Magazine August issue.